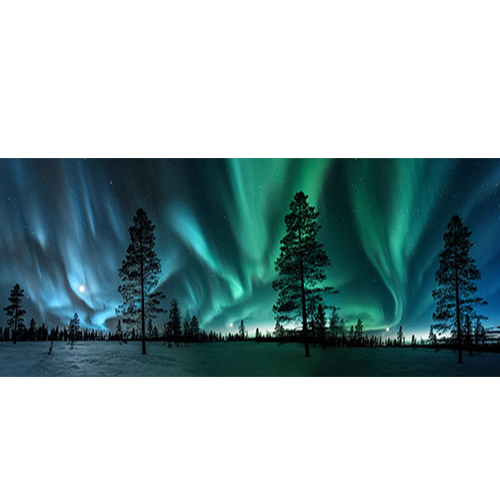 The brightest known auroras were in 1859 when the New York Times reported that in Boston you could read a newspaper at one o’clock in the morning, and there was enough electricity to power the telegraph services for over 2 hours without (and actually better than) the usual batteries. 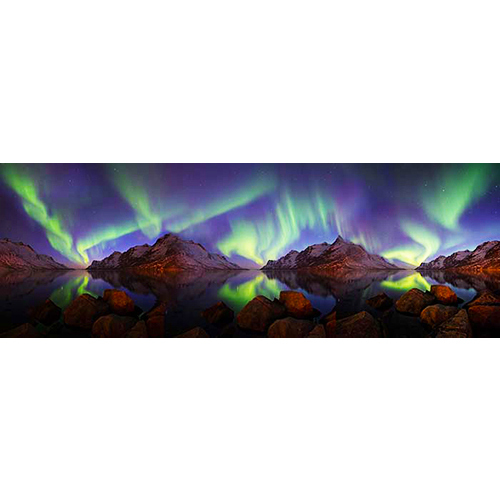 Most displays are green because of high concentration of atomic oxygen and the eye’s higher sensitivity to green, but red, pink, blue, violet and yellow are also visible. 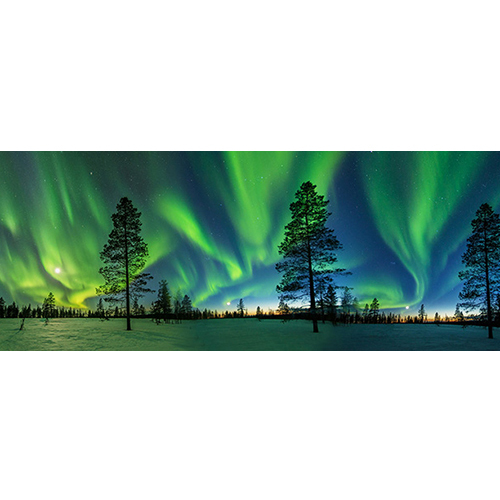 Auroras also emit a hissing/crackling noise at about 50 miles up caused by hot and cold particles colliding. 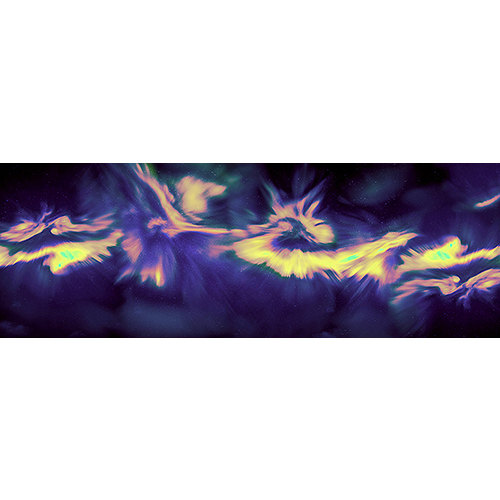 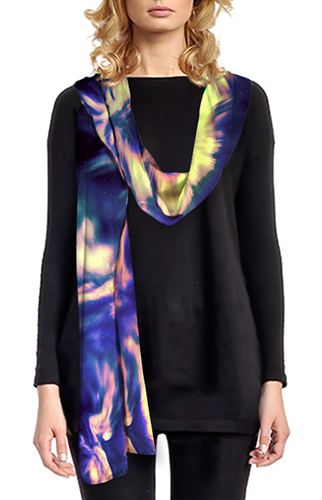 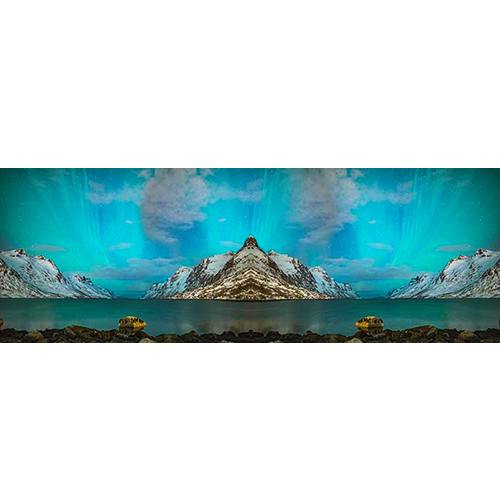 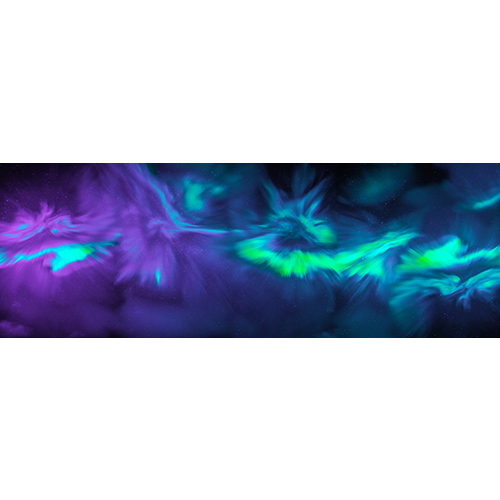 Here you can enjoy the montaged effect of auroras, and it results in a stunning scarf as the silk mirrors the shimmering, fluid movement of auroras.